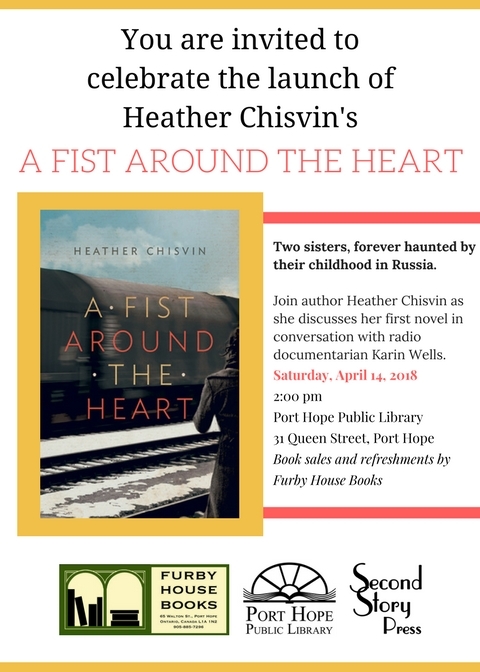 At Port Hope Public Library, author Heather Chisvin will be discussing her debut novel A Fist Around the Heart with radio documentarian Karin Wells. Join the conversation on April 14. Book sales and refreshments by Furby House Books.